Businesses in all different industries require offices to keep business plans, expense reports, contracts, licenses, publications, and all other vital documentation securely on hand. For a business such as a law firm, paper documents can quickly pile up. While the information contained in each document is needed, keeping physical copies of each can become cumbersome. With the right filing system in place, a microfilm scanner can become very useful indeed. Your business can work to reduce the need for storage, as well as the time spent filing paperwork by transitioning over to microfilm. When documents are scanned into a computer, they aren’t automatically saved forever. First, you need to record file names so that documents remain organized and easy to recall. Then, you need to save each scanned form in a place that has been secured, within an area that has a lot of room. USB storage devices are convenient, but they are also prone to corruption. Cloud storage can enable you to save hundreds of gigabytes of data, but you also have to pay a fixed cost per month. Additionally, cloud storage isn’t 100% safe from hacks and breaches. Converting documents to microfilm means that you will be able to reproduce important data on demand. How many times has your business gone into a panic over missing documentation? Whether you’re subject to regular audits, have been sent a production request, or need certain information to file business taxes, it is crucial that your documents are traceable and easy to find. If you keep microfilm copies of all business records, you can search for particular documents by date, name, or even alphabetically. Multiple copies can also be made, so you can keep thousands of records safely in a desk drawer at work. Needs If you don’t have workers who regularly review incoming paperwork and immediately file it away, you may have boxes of records getting in the way of things. When business records aren’t accounted for and stored quickly, they can also get lost. Consider having a centralized filing system that is accessible by computer as well as on the premises. If your business location doesn’t have thousands of square feet available for record storage purposes, microfilm will aid you in saving a lot of room, and saving your company a lot of money in the process. If your records have been saved on microfilm, there’s no longer a need for you to retain paper copies. 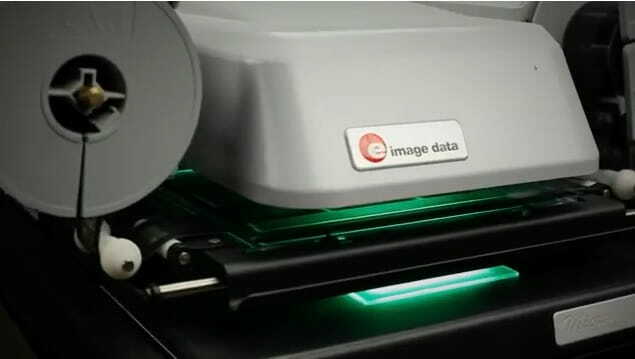 A microfilm scanner will absolutely help you in reducing business storage needs as well. What happens when a business owner needs a one-page document, but there are dozens of file cabinets to go through? If the owner is fortunate, all paper records have been appropriately organized so his or her search might only last several hours. In the event that a chaotic filing system exists, it might be impossible to ever come across a particular business document. Business documents that have been saved on microfilm are searchable as well as easily archivable. As such, you only need to input a few search parameters and then wait a few seconds for results to populate. This method of gaining access to important business records is a huge time saver and incredibly convenient, too. As businesses grow, so does their need for additional storage space. Your company might have to buy more filing cabinets to make room for new client files if you still do everything on paper. If you have several employees who file your business records as well as retrieve them, an important file or document might be accidentally lost or thrown away. In the event that a file is put in the wrong location, the rest of your filing system can accidentally be thrown off. A better way of organizing your closet includes microfilm scanners and tools that will help you to reduce paper. Convert paper files into PDFs, save files on CD, or just use microfilm to reduce waste. If your business office is modest in size, you might want to go completely green and do away with paper altogether. Anything that you do need to sign or send can either be printed out or sent electronically. As such, all incoming paper documents need to be converted to microfilm and cataloged as soon as possible. This will help your office to stay clutter-free, more organized, and completely operational. As you continue to operate a growing business, your needs are going to change slightly. You may need to invest in additional business lines or to spend more on advertising. In this day and age, few businesses really need more space to store paper files which is generally a matter of finding a better solution. Find a new, better way to store business files through microfilm storage solutions and digital archiving. I hope you enjoyed this article about the benefits of utilizing microfilm technology to supplement your business storage needs.